This entry was posted in Collaborations, Ethno Tekh, Performances and tagged 2012, Ableton, Brad Hammond, chris, controlled, controller, Ethno, Ethno Tekh, futuristic, interactive, interface, kinect, kinectar, Live, max, max/msp, microsoft, music, new, performance, projection, Sound, synaecide, tech ed, teched, Tekh, unity, unity3d, vik, visuals, xy01 by Chris Vik. Bookmark the permalink. Thanks very much! 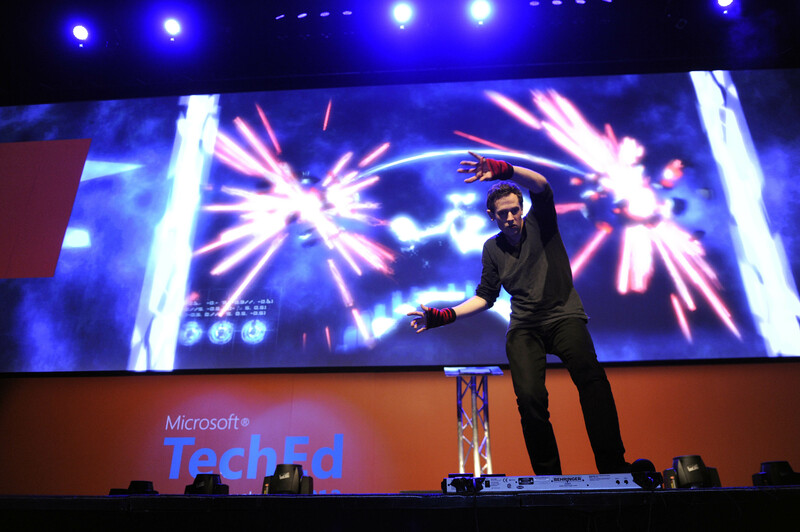 – Check out the teaser video of the TechEd rehearsals.